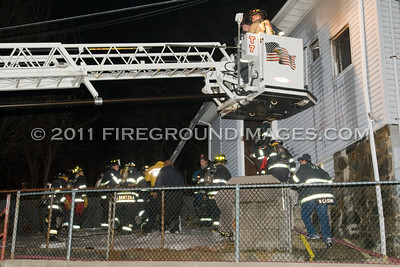 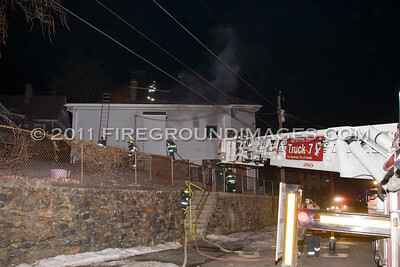 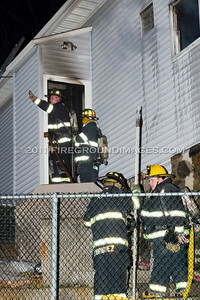 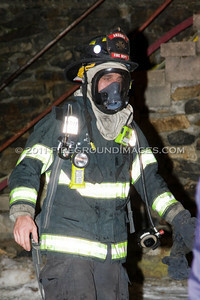 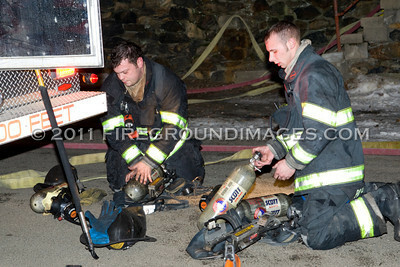 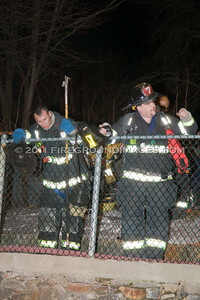 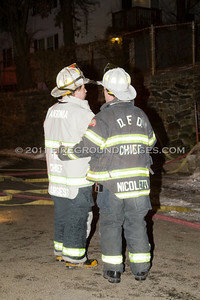 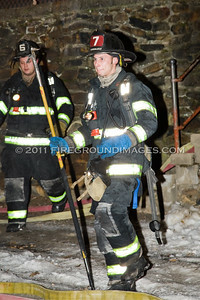 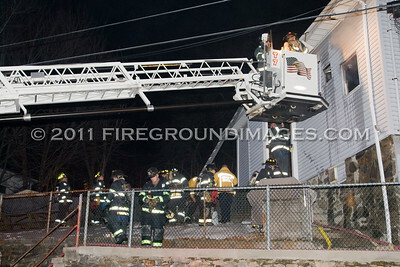 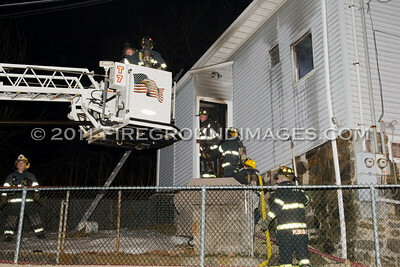 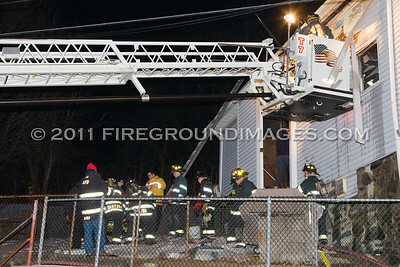 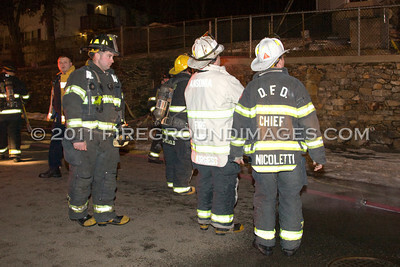 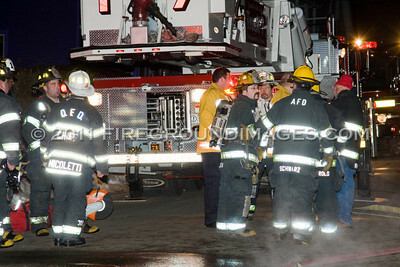 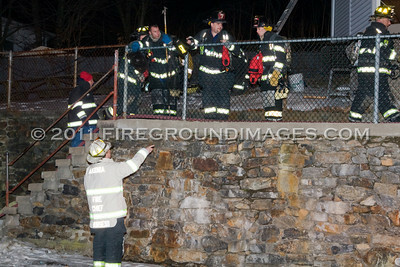 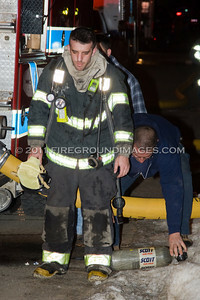 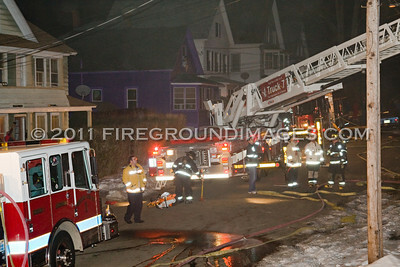 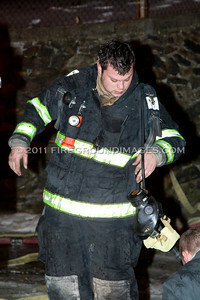 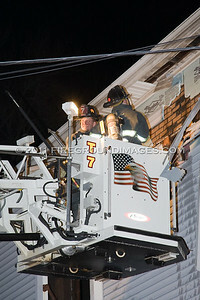 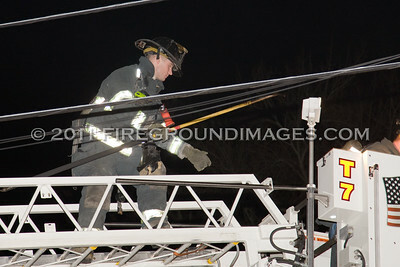 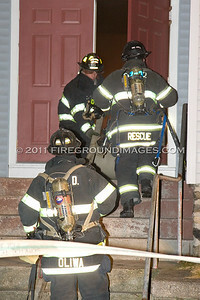 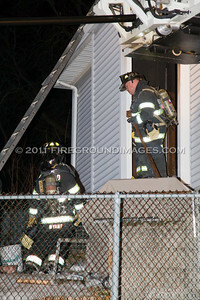 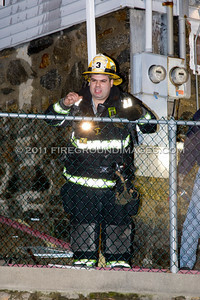 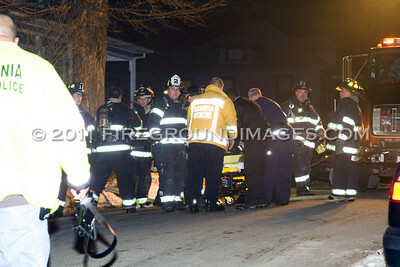 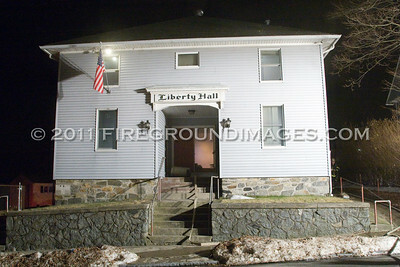 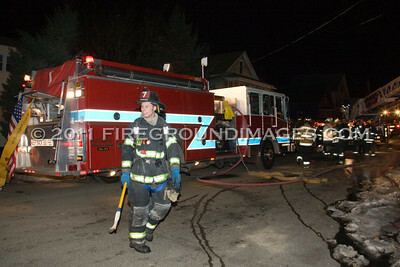 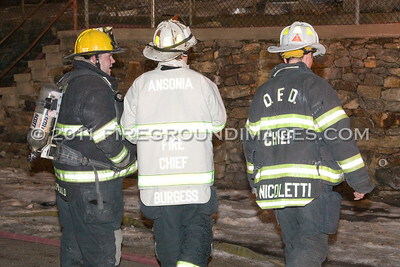 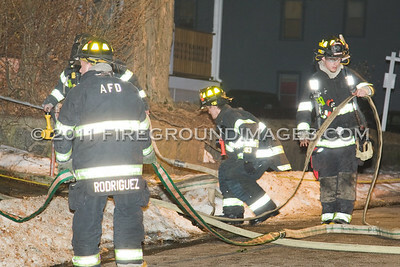 ANSONIA, CT – At approximately 6:00pm on January 4, 2011, the Ansonia Fire Department was dispatched to the Liberty Social Hall on May Street for a reported structure fire. 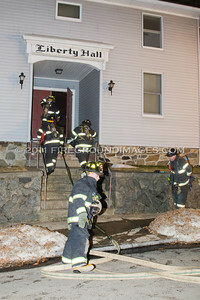 First units on scene found heavy smoke showing from the rear of the 2-story social hall. 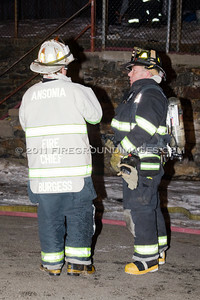 The fire, which appeared to have originated in the kitchen area, was quickly put under control, but not before a firefighter was injured when he fell 10-15 feet off of the roof due to ice. 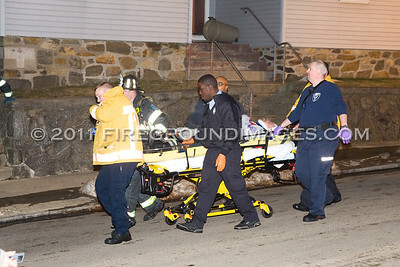 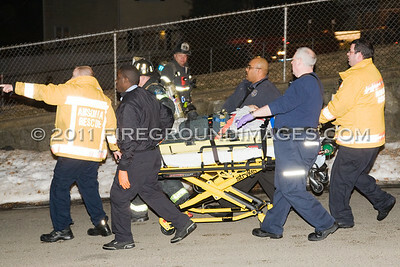 The firefighter was released from the hospital later that night with minor injuries.